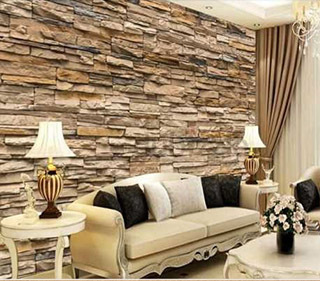 Stone-Brick-Wood Wallpapers can create that magic; they rejuvenate your wall with realistic unrobed look and feel. 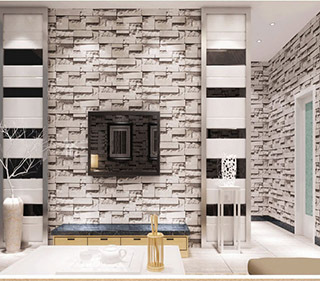 Stone and Wood wallpapers are very much trend at this moment. If you have contemporary furniture and other accessories, then Stone and Woods wallpapers will be a perfect choice for you. Royal Window Screen have enormous collections of stones and wood effect wallpapers in a wide range of patterns and styles which gives you an authentic view. George Town, Chennai 600 001. We assure you to provide you the best service with quality products from Chennai to Madurai, Salem, Coimbatore, Tuticorin, Tirunelveli etc., We have done so many projects in Tuticorin, Nellai, Coimbatore, Pondicherry. We also do Door to Door delivery for Homes, Offices, Commercials, Hospitals, Colleges, Restaurants, Orphanage, Hostels in madurai, salem,Coimbatore,Trichy.